Rocky mountains line the road from Malaga to Seville, masking abundant wineries, with the landscape soon flattening, transformed by row upon row of green olive tree as far as the eye can see. 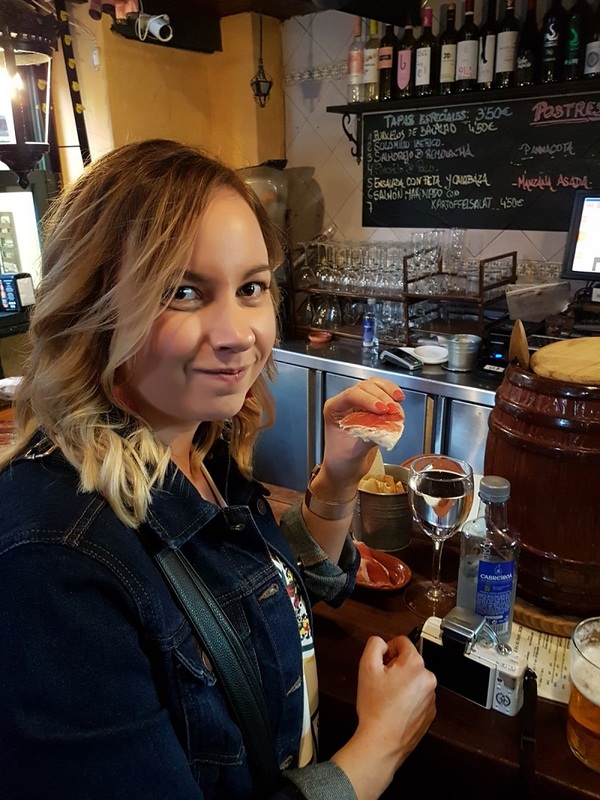 Little wander that Seville is known for its culinary delights; the Guadalquiver river and it's surrounding fertile soil certainly helps bring a plethora of local produce to the table. 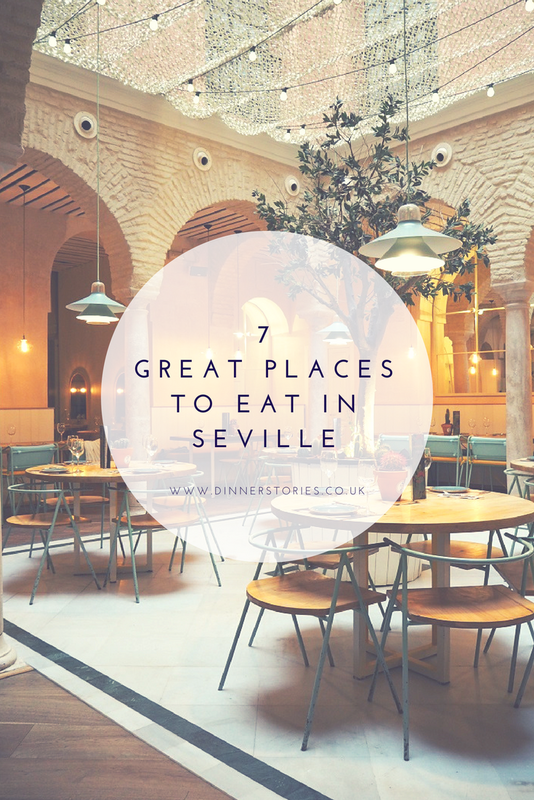 There's more to Seville than the bitter orange! 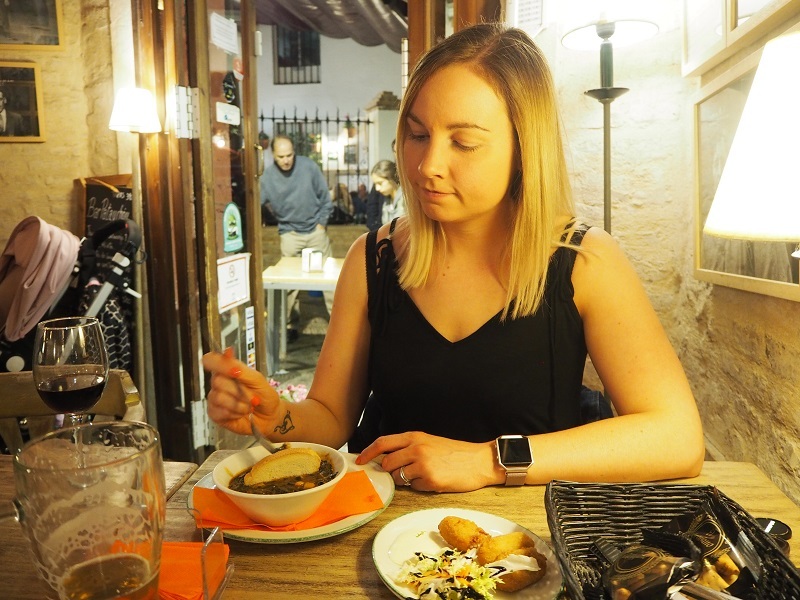 Spending just two nights in the city hardly makes us experts on the local cuisine but we made our best effort to sample as many regional delights as possible, discovering these great places to eat in Seville along the way. This article contains affiliate links.  This means I will earn a small commission from any booking/sale made through these links, at no extra cost to you. 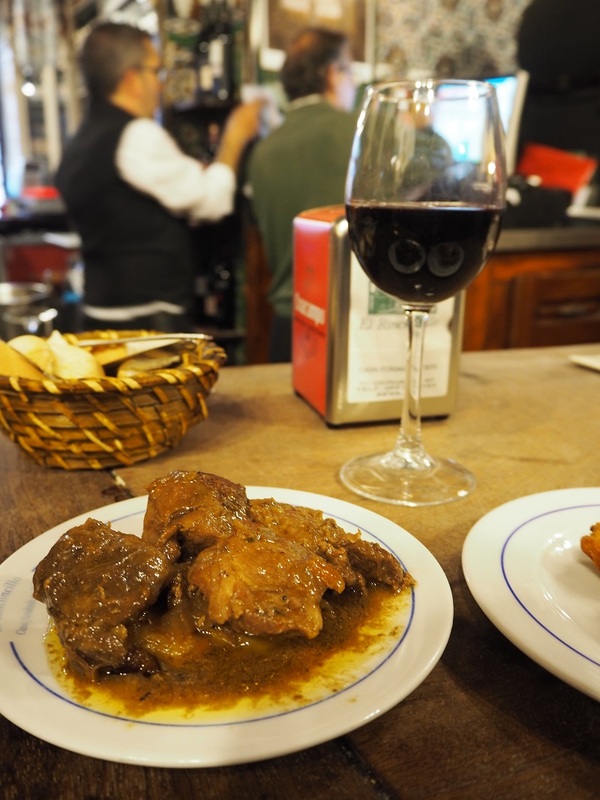 Eating out in Seville is unlike anywhere I've been before. Spain in general is known for it's tapas scene of course, but I've never experienced it like this before. 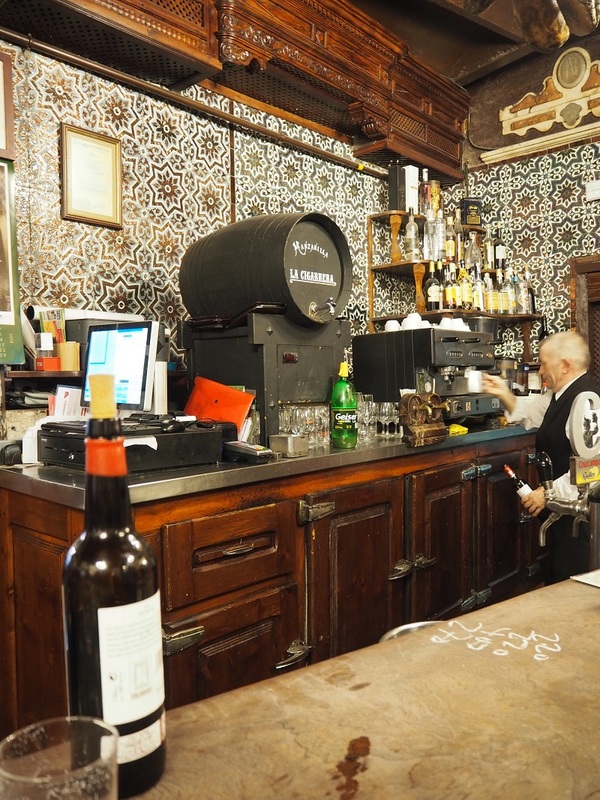 Old school eateries with grand wooden bars, menus on blackboards and shelves stocked high with local wines and sherries. Busy service staff yell out orders to the kitchen in Spanish, whilst chalking up your bill on the bar in front of you. 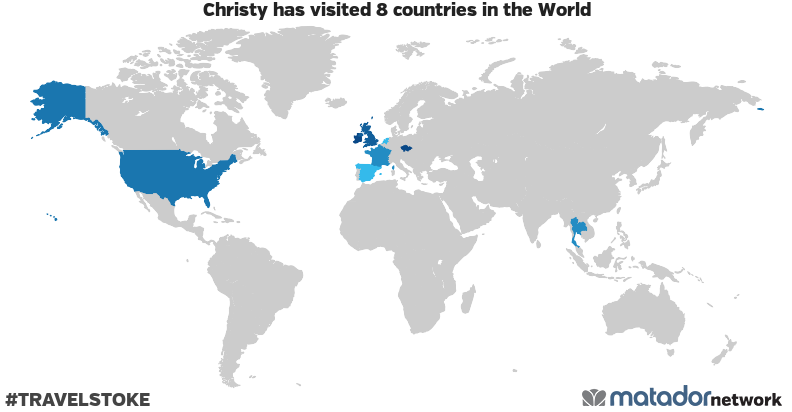 It's busy, it's vibrant, it's fun! Our first evening saw us head to the Barrio Santa Cruz, where we were ignored at the first few bars, before settling down at Bar Patanchon. Staff were busy but still found time to acknowledge us, so we quickly grabbed a table by the door, and placed our order for cerveza y vino tinto! (Beer and red wine, of course). It was our first night and I was keen to try out one of the dishes I'd heard so much about - espinacas con garbanzos! 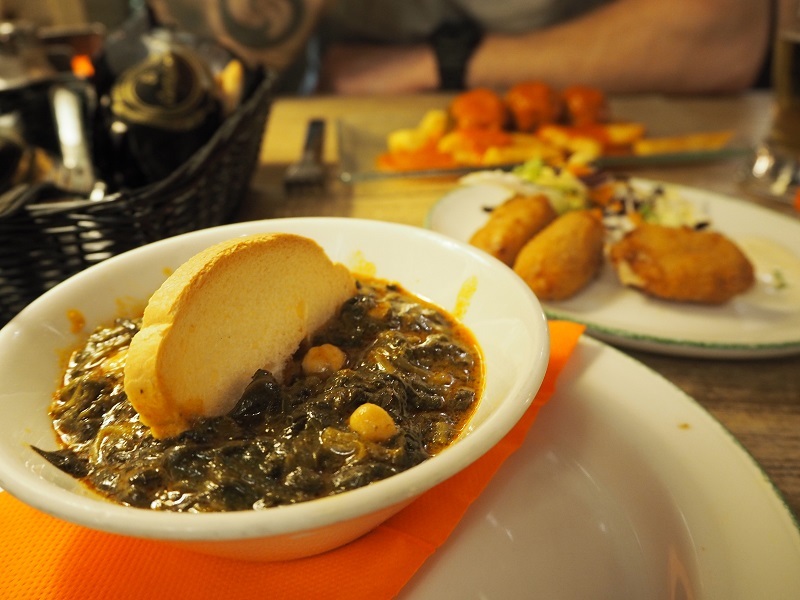 A tasty Andalusian stew of spinach and chickpeas, flavoured with Spanish smoked paprika and garlic, and mopped up with soft white bread. 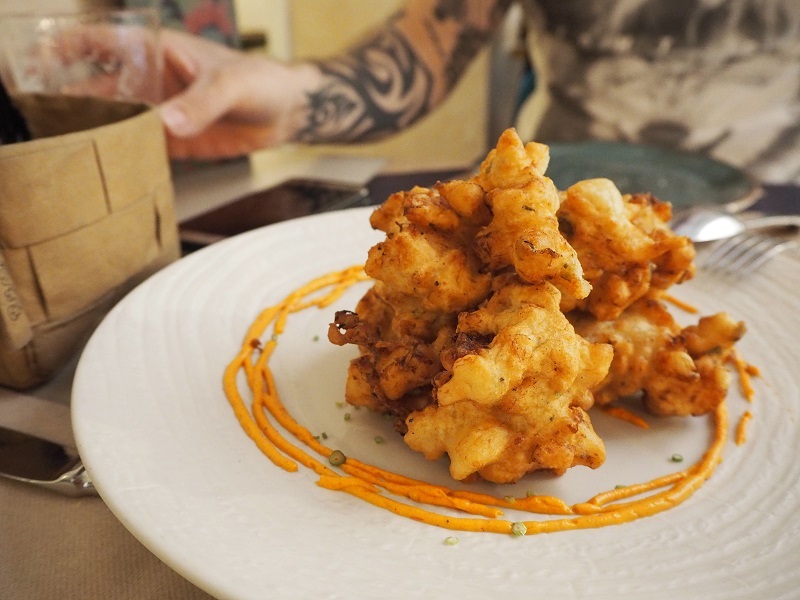 This version could of done with more flavour, but accompanied with classic calamari, Iberian ham croquettes, albondigas en salsa (meatballs in a tomato sauce) and delicious garlicky patatas aioli, it was an excellent start to our culinary experience of Seville. I'd heard great things about the tapas and nightlife at Bodega Santa Cruz, but they were literally out the door every night. Instead we popped in for breakfast on our final day, snapping up a table in the corner next to a friendly American (who told us how he'd been to Scotland once but only the airports, you know those well known Scottish airports Heathrow and Gatwick... Ahem). Tostada con tomate is a typical breakfast dish in Andalusia - toast with tomato. 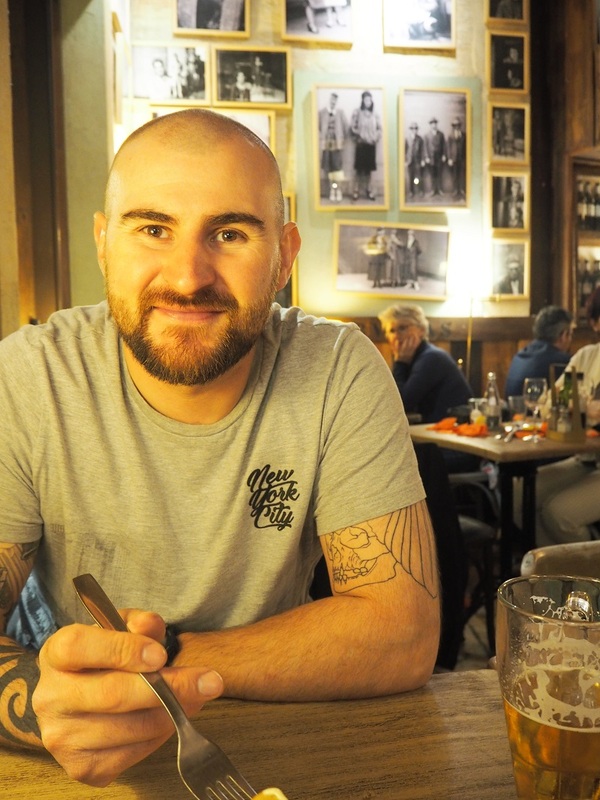 Gordon, ever the meat eater, topped his with another local delicacy known as pringa - which I can only describe as a mash up of meats (chorizo, black pudding and pork) usually used as a sandwich filling. It doesn't look or sound appetizing but I promise it is tasty! Service is quick here and the food is super cheap. A tostada with coffee (café con leche) cost only a couple of Euros! 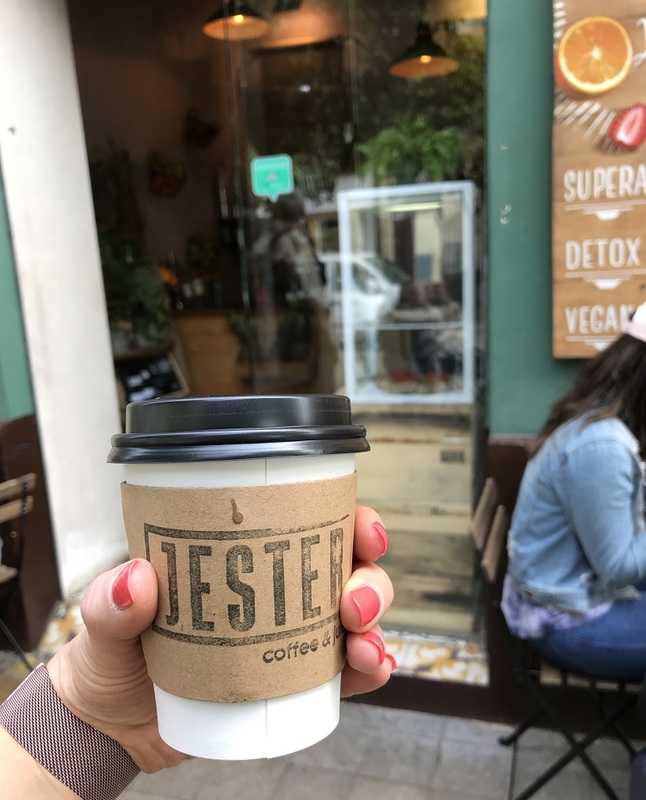 If you don't have time for a sit down breakfast, check out Jester. 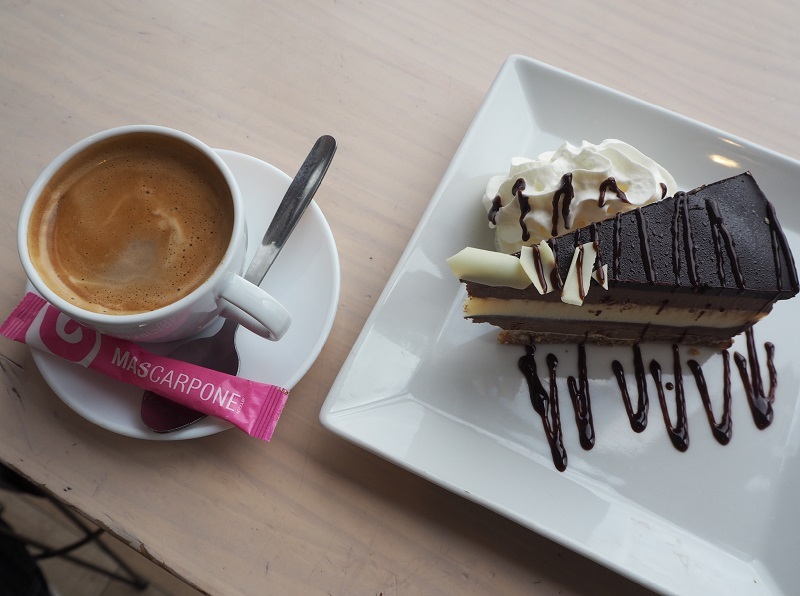 Grab take-away coffees, fresh juices, healthy snacks like yoghurt with fruit or more indulgent pastries. I highly recommend the crème croissants! Read our guide to making the most of one day in Seville here! 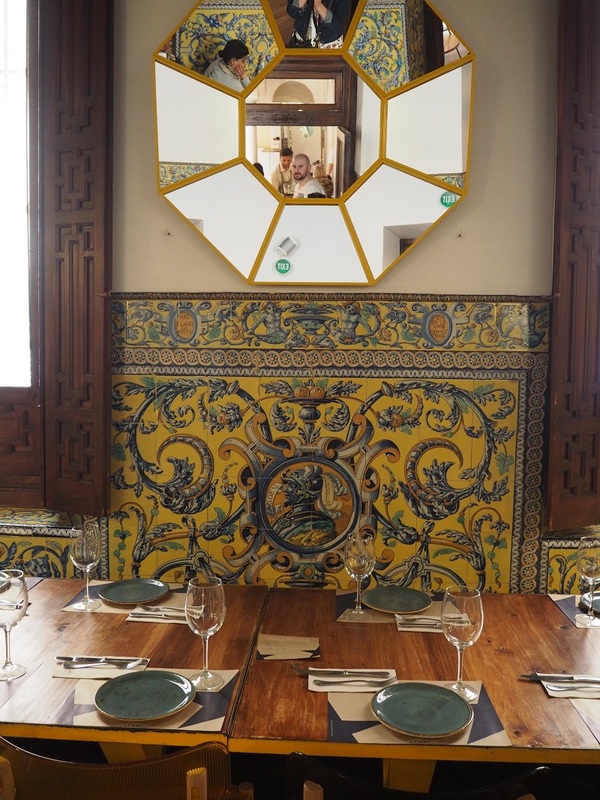 Traditional tapas is everywhere in Seville but if you fancy something a bit different to eat, El Pinton is a must! 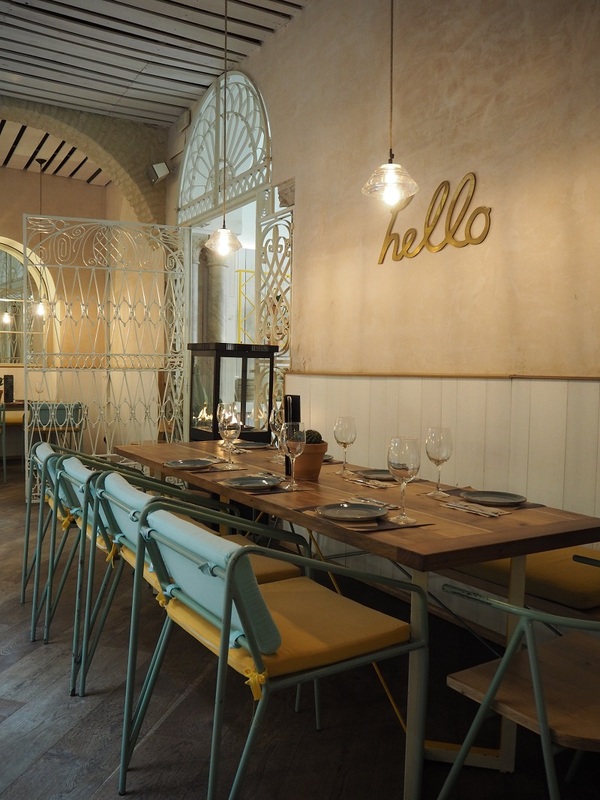 Quirky, modern tapas dishes are served in a gorgeous Instagram-ready setting. 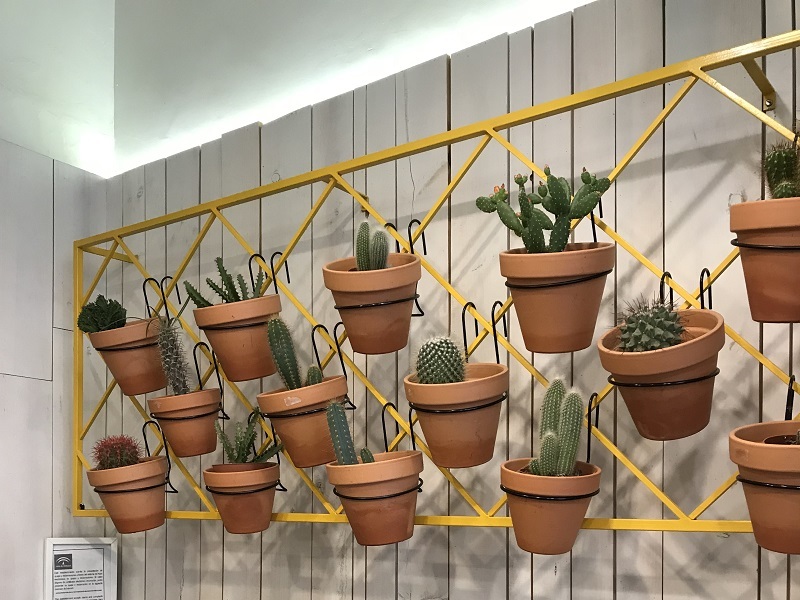 Potted cacti line the entrance and a huge tree makes a striking centrepiece in the pretty pastel coloured décor. 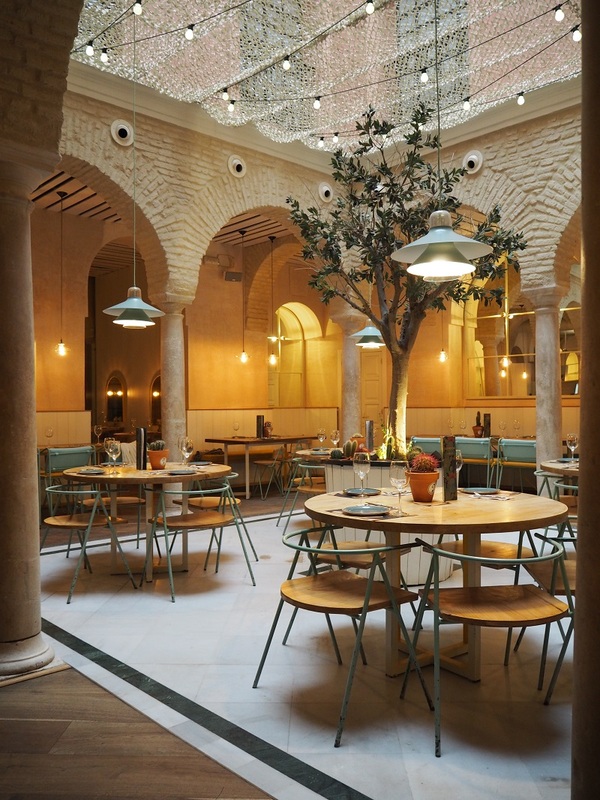 Smaller dining areas feature stunning traditional tiles in the same style as the Plaza de Espana. El Pinton's menu is diverse, with plenty veggie options, but priced higher than most places to eat in Seville. It's worth the extra couple of euros though; you won't find dishes like these anywhere else. 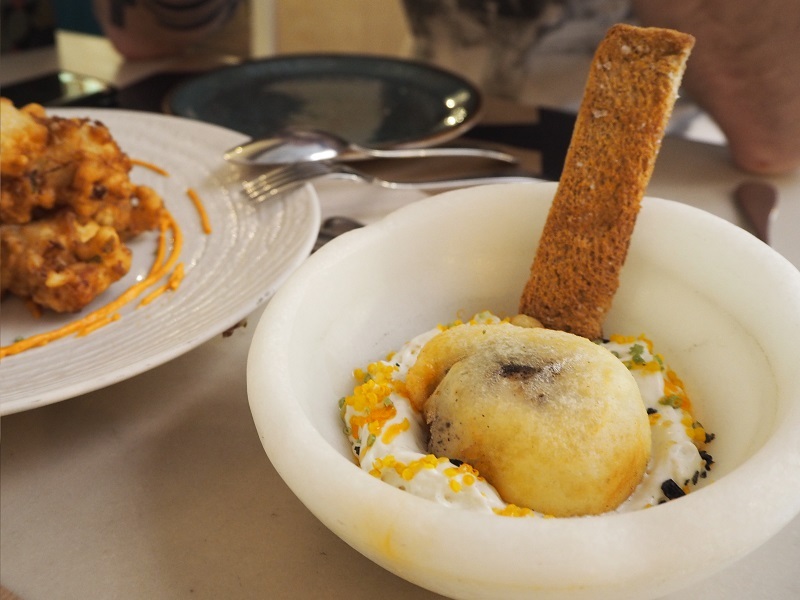 Take the advice of the staff - we never would have selected the battered egg with quinoa and truffle parmentier, but I loved the unusual flavours! 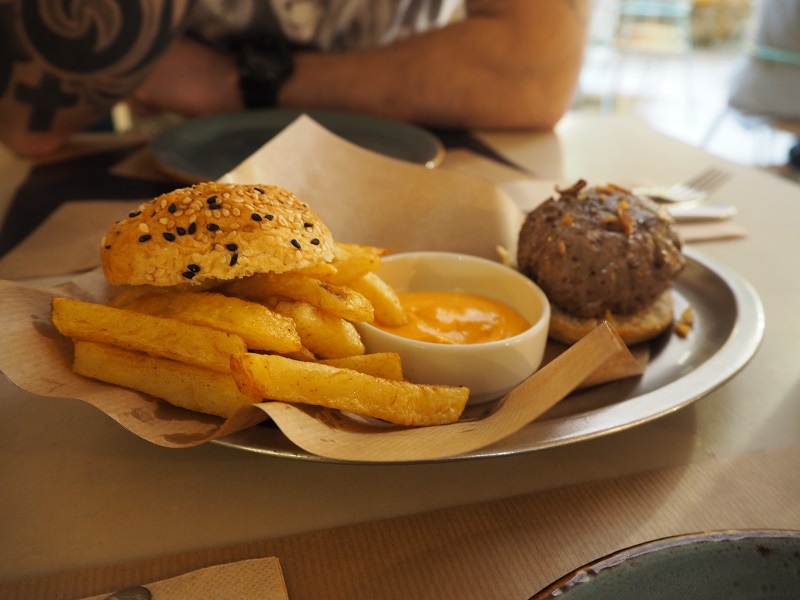 Gordon's dish of choice - the ox mini slider - was served medium-rare with a side of fries, but it was the other two dishes that stole the show. 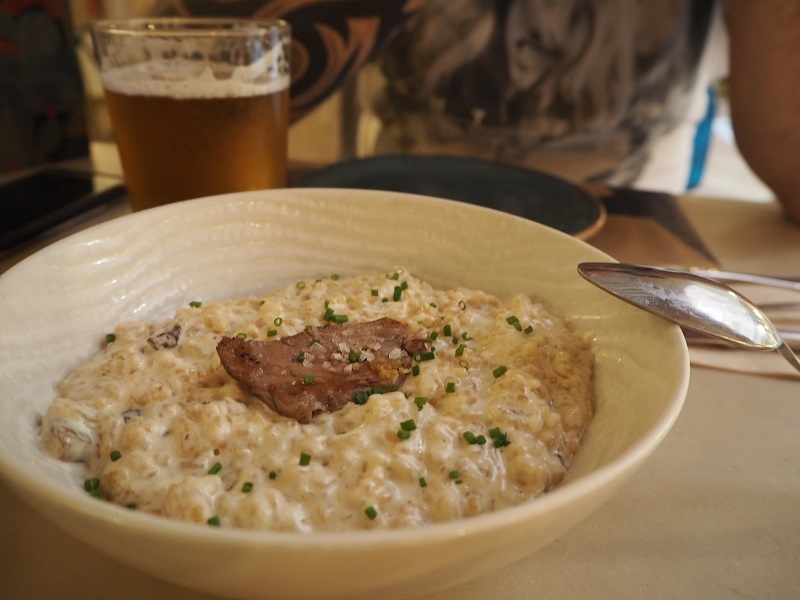 Mushroom risotto proved to be unexpectedly more-ish and the crispy fried salt cod was unreal! It's the one dish I would absolutely order again, and again - we practically fought over the last piece! 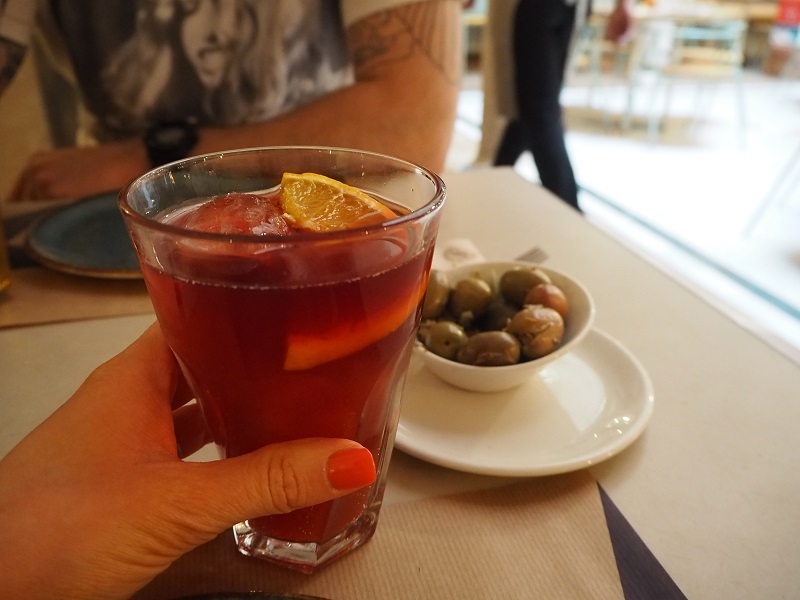 Order tinto de varano for a sangria style drink more popular with the locals. 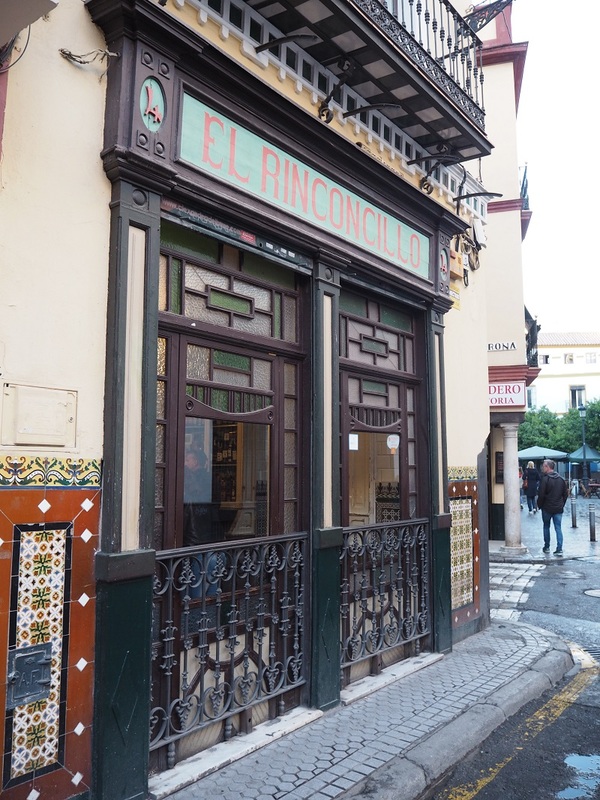 El Pinton is just a short stroll from la Giralda & the cathedral, and just up the street you'll find Seville's branch of my favourite Spanish shop 'Ale-Hop'. You'll spend a bit more dining at El Pinton, but you get impeccable service and outstanding food. Worth every penny! Wherever we are in the world, we seem to find ourselves lost in food markets. 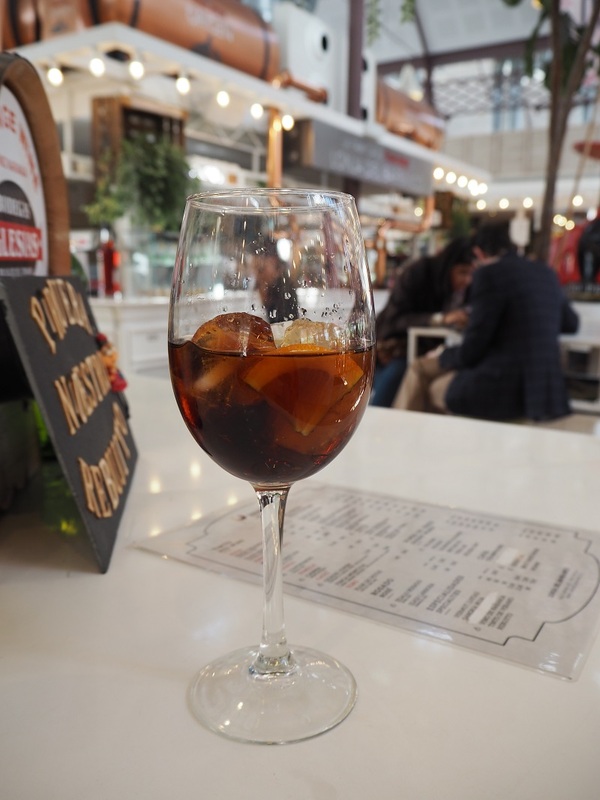 Seville has plenty, and I hear good things about Mercado de Triana, but if you only have time for one make it Lonja del Barranco! 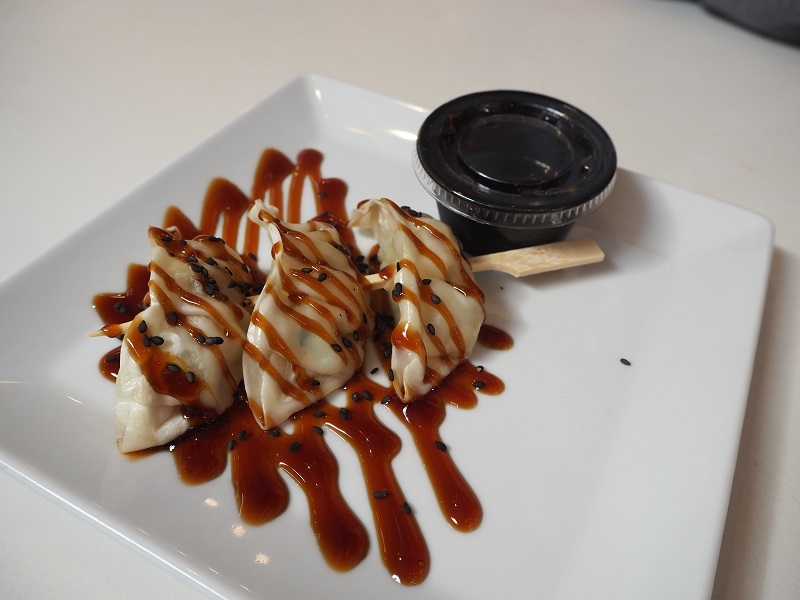 With sleek white counters and sunlight beaming in through the glass walls, here you can enjoy everything from tasty gyoza to deliciously indulgent chocolate cake. 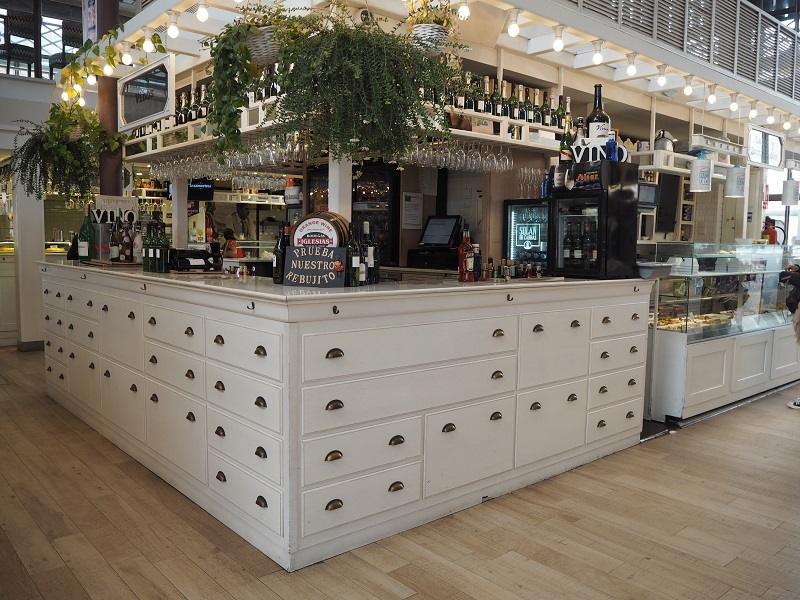 Not to mention some of the freshest produce around -you'll find whole legs of jamon iberica hanging behind the charcuterie counters and fishmongers showcase an impressive array of oysters and octopus. 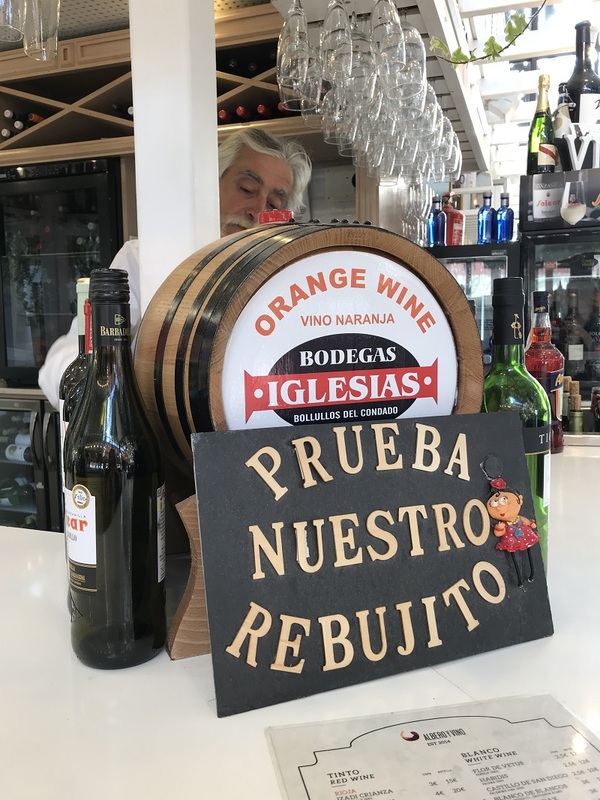 I recommend grabbing a glass of vino de naranja (where else can you drink orange wine?) & pulling up a pew on the terrace outside! 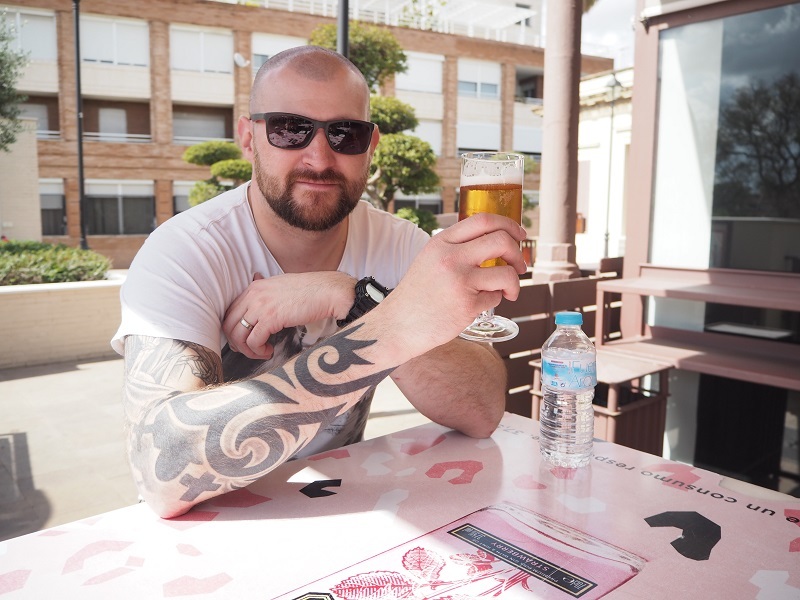 You can also sample Cruzcampo - Seville's local beer! 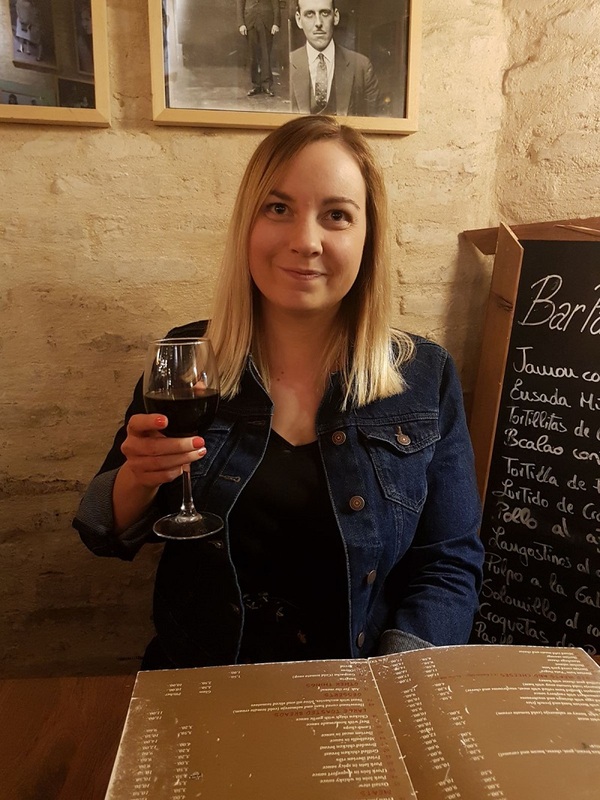 Click here for more Dinner Stories from Spain! For a more authentic experience, El Rinconcillo is a must! 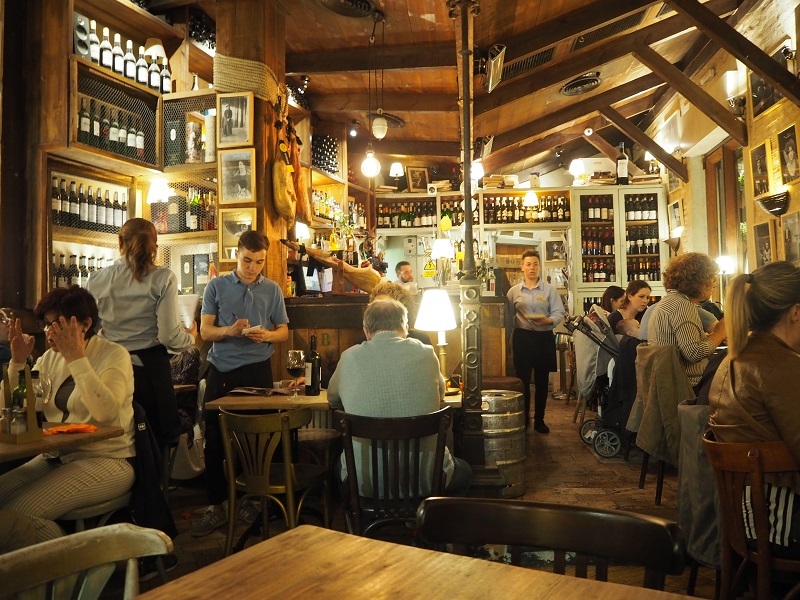 Seville's oldest tapas bar has been on the go since 1670 in the city's Old Town, and is still one of the most popular spots today. We started a tapas crawl here on our final night, easily nabbing a spot at the bar. Dishes are available in small "tapa" portions or larger "racions". 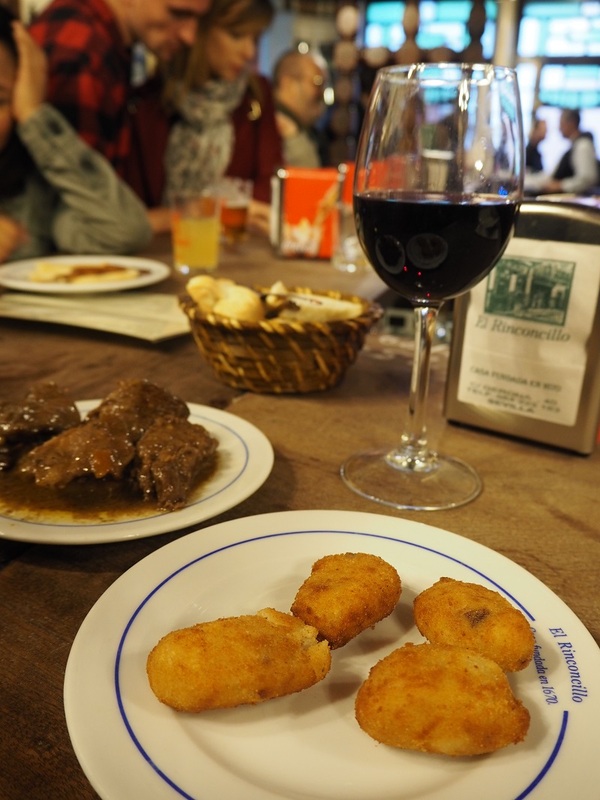 We shared small plates of melt in the mouth Spanish pork cheeks with soft sliced potato, and the best homemade croquettes of our trip! These two dishes, plus two small beers and a glass of red wine cost us just 10 euros. 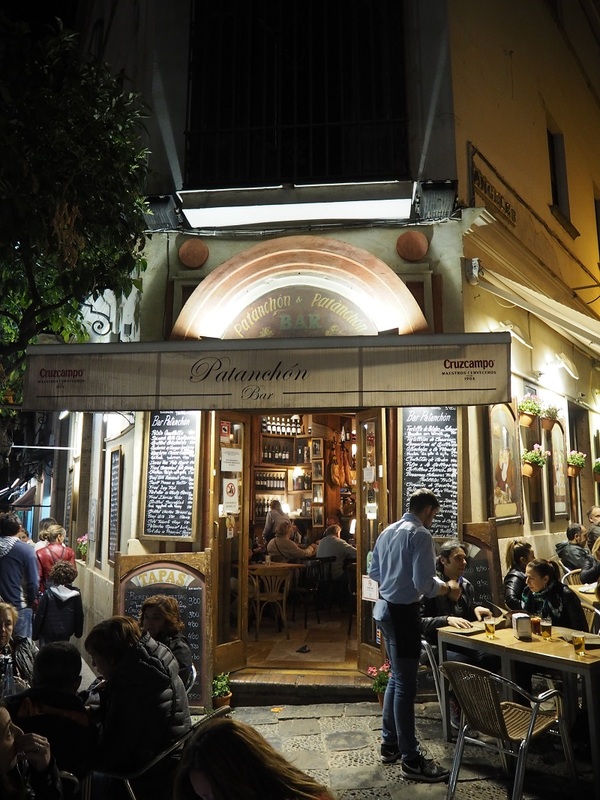 Another highlight of our mini tapas tour, this small bar was jam packed. We made our way through the crowd, squeezing in at the bar and browsing the tapas menu. Cheerful young waiters shouted "Chicas, chicas!" passing plates over our heads to the excitable young ladies sharing sangria over a barrel table in the midst of it all. 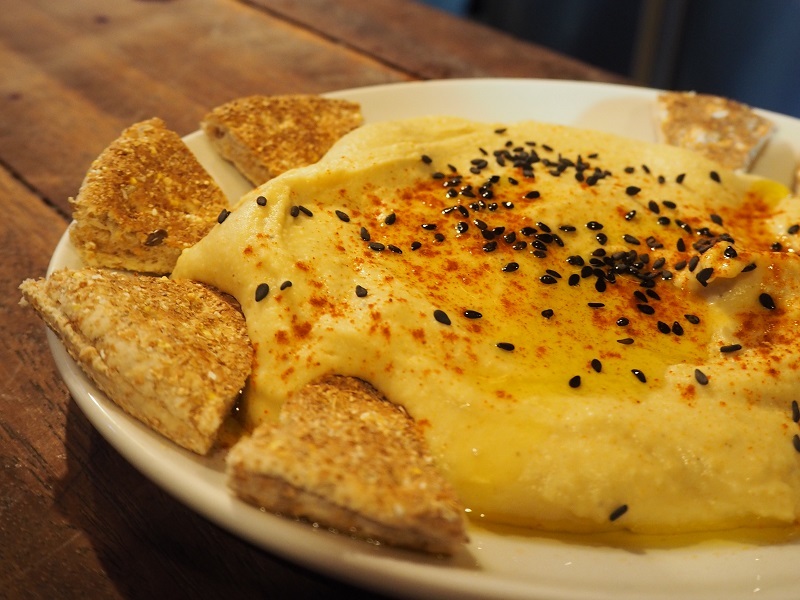 We couldn't resist the hummus with flatbread and finally had a taste of the provincial speciality - Jamon Iberico. A type of cured ham made from acorn fed black Iberian pigs. 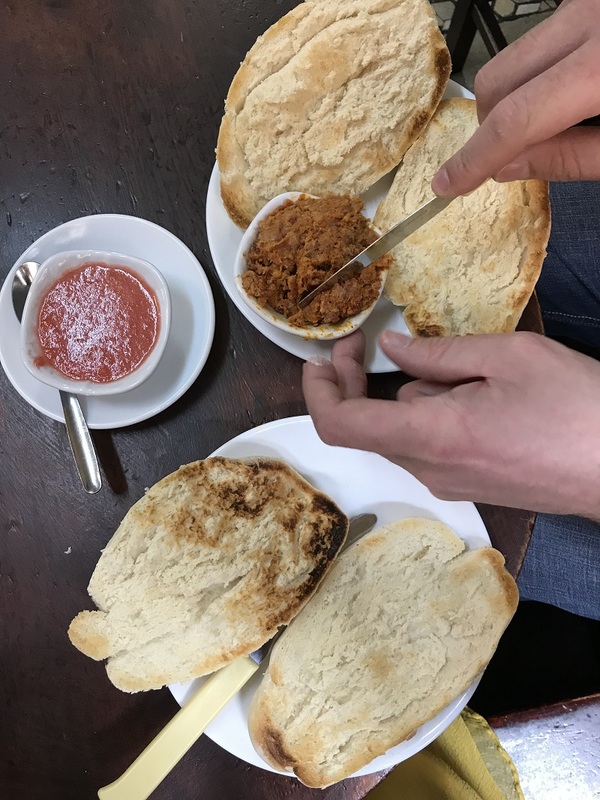 Most eateries will also serve baskets of bread and olives alongside any tapas that you order, so make the most of these too! 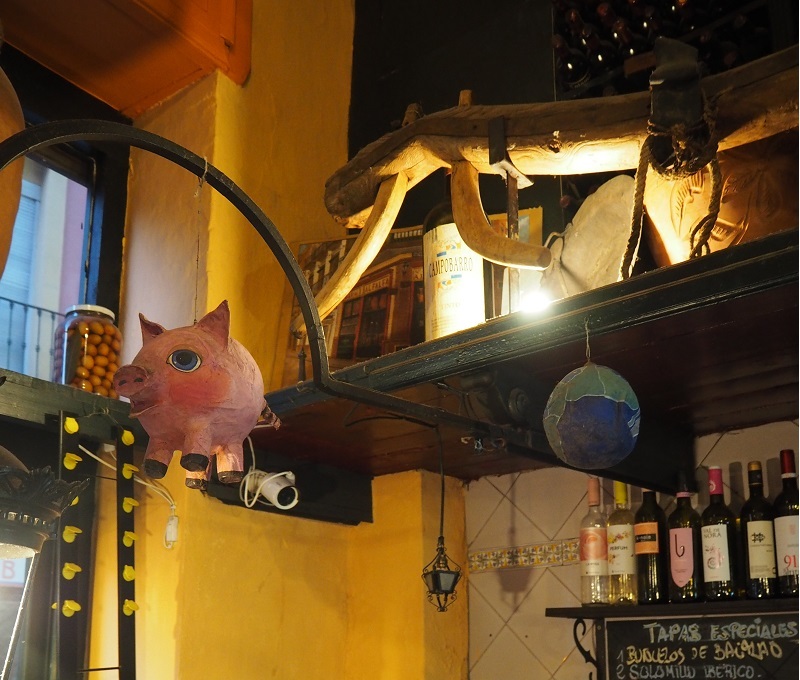 Food is cheap - don't pay more than 1-3 euros at the most for traditional tapas. 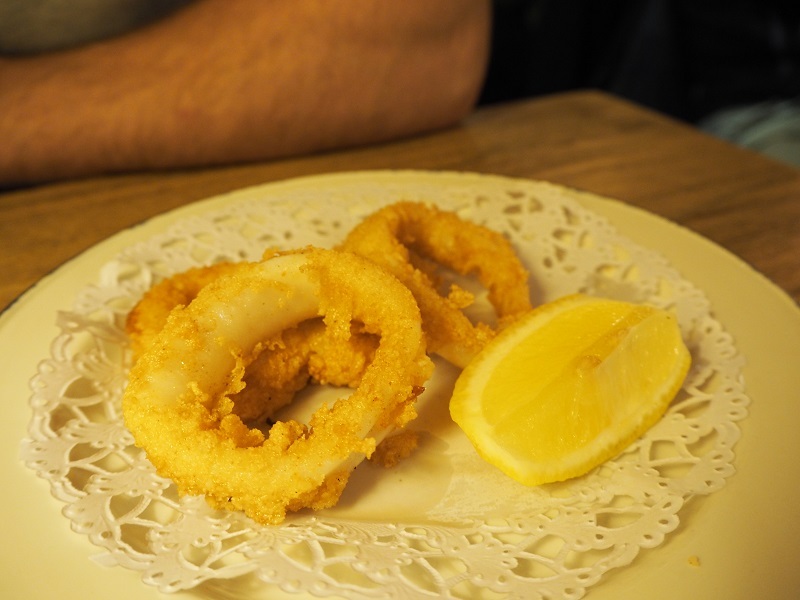 Sevillanos eat late - head out for tapas from 9pm onwards. 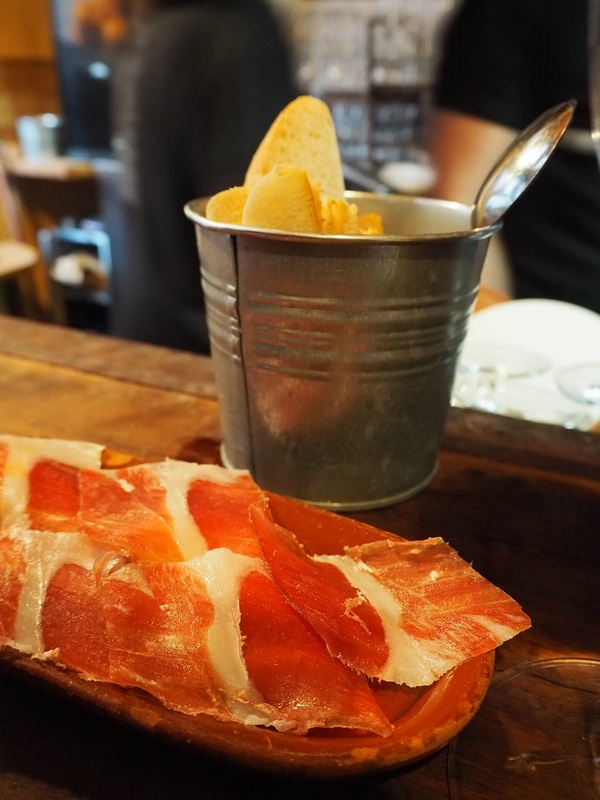 Try Iberian ham, olives and orange wine to tick off the most famous regional flavours! 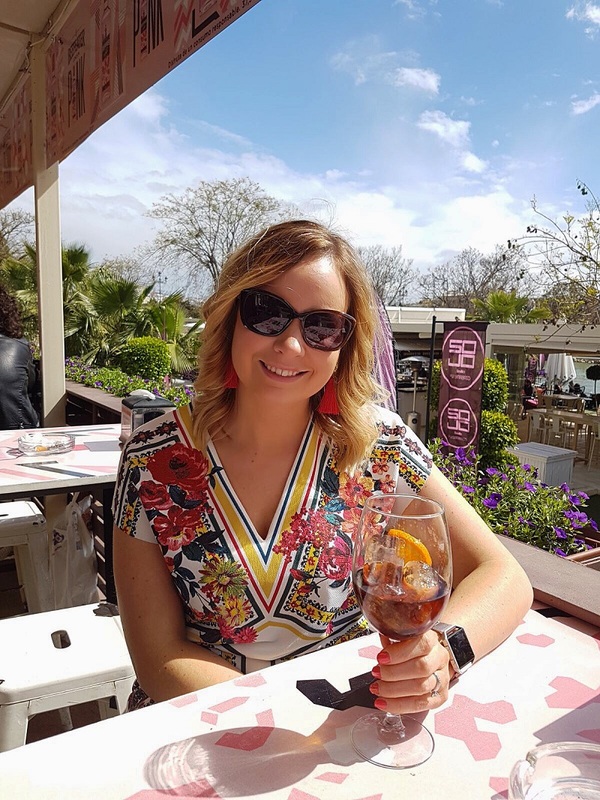 If you visit Seville I'd love to hear about your favourite places to eat - tweet me or leave your tips in the comments below. I visited Seville a few years ago though I don't really remember much of what we ate! The architecture was amazing though! And all the dishes you had look really yummy. I would definitely like to go again. The architecture is incredible! 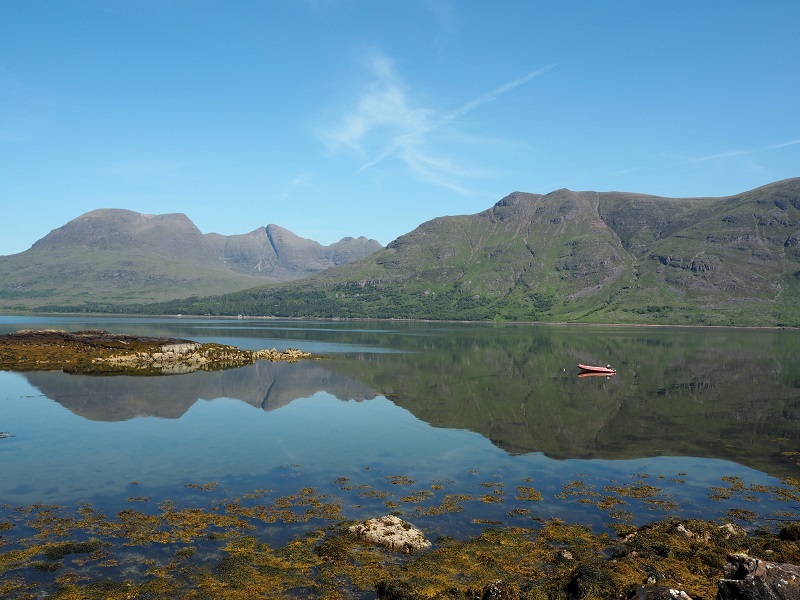 I'd love to go back too - it feels like a place you could go again and again, and still find something new! 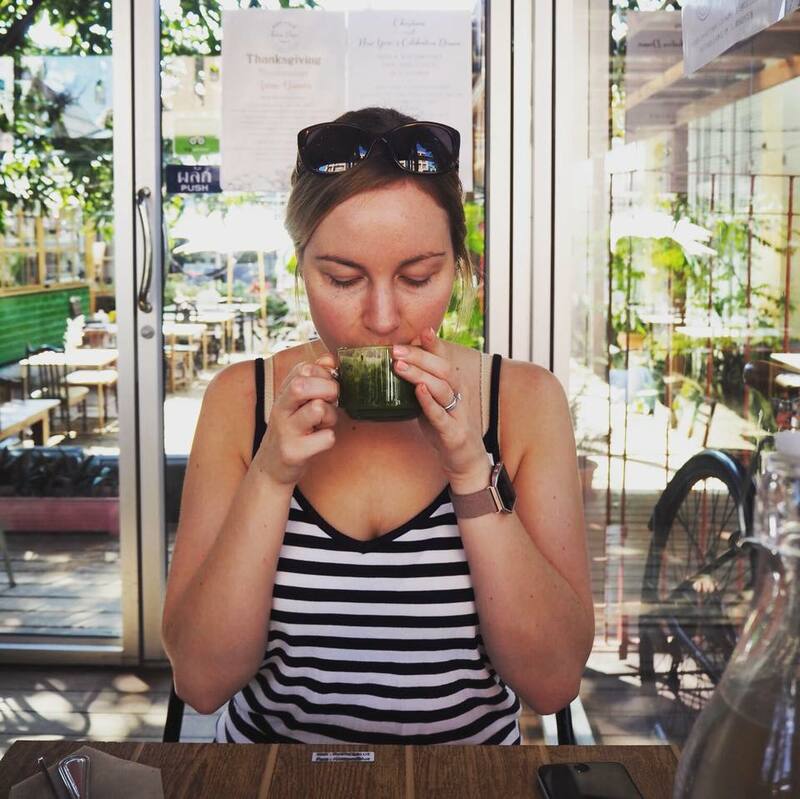 Aberdeen | Where to celebrate World Gin Day!